Oldtimer gallery. Trucks. Ford G917T, G987T, G997T. Oldtimer picture gallery. Trucks. Ford G917T, G987T, G997T. Ratios: I - 6,40, II - 3,09, III - 1,69, IV - 1,00, rear - ? 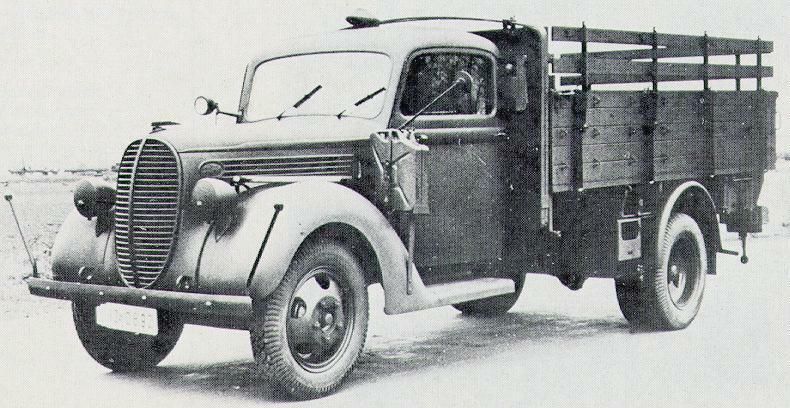 This model was patterned from USA 1938 Ford. 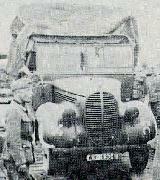 But main outer difference of German Ford is one-piece windscreen. Central vertical bar of the grille of German Ford has equal thickness everywhere, US Ford has more thick upper part of it. 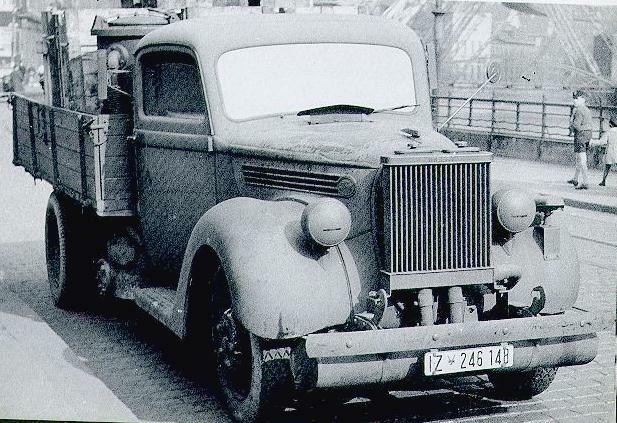 G987T carried such unit under the motor division. Diameter of the gas producer 550mm (placed in cargo box behind the cab). 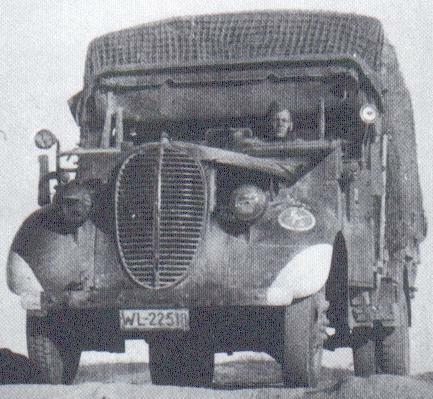 Reinhard Frank's "Lastkraftwagen Der Wehrmacht", PODZUN-PALLAS, 1992. Last updated 28 I 2000.